Have you been injured and someone else is to blame? 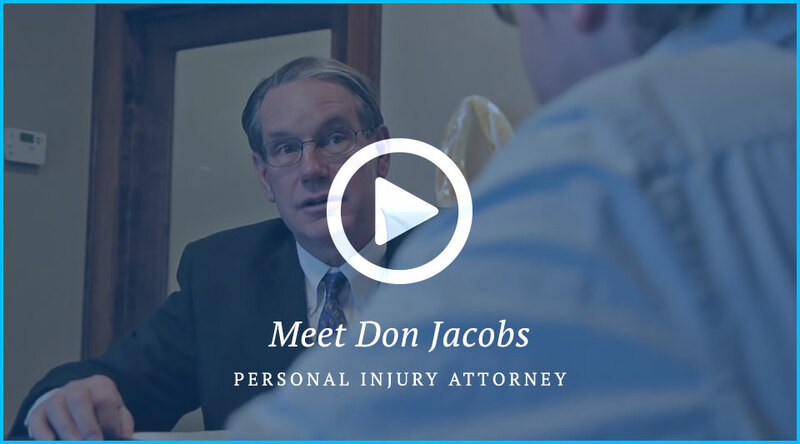 If you have been injured in a car accident, trucking accident or on someone’s property, it’s vital you seek the counsel of a seasoned personal injury attorney as soon as possible. NW Injury Law Center brings over 35 years of experience fighting for the rights of people who have been wrongfully injured by others. We will take your case on a contingency fee basis. This means we only receive a fee if we win. 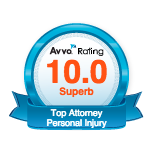 Personal injury cases involve a number of critical circumstances and legal nuances. As such, it is vital your attorney has a full mastery of the ins and outs of this legal area. To do the best job, a lawyer should have a laser focus on personal injury law. Some personal injury attorneys diversify their practice into many different specialties. Our attorneys practice only in the personal injury field, fighting for the rights of those who want their voices heard. As longtime residents of the Portland/Vancouver WA area, our personal injury lawyers care deeply about our fellow citizens. Whether you’ve been injured in a car accident, on a bike, as a pedestrian, or injured at a construction site, those responsible for your physical and psychological suffering should and sometimes need to be held accountable. The staff at NW Injury Law Center doesn’t just say we fight for your rights, we put those words into action. Our legal acumen and caring nature are supported by years of testimonials from past clients. We work with you throughout the legal process and make sure you are aware of every development as your case progresses. We keep you in the loop and make sure any potential pitfalls and roadblocks are overcome. Our firm has a long track record of taking difficult cases to trial. We’ve won jury trials throughout Oregon and Washington and have recovered verdicts of over a million dollars for injury victims in both states. We pride ourselves on our litigation skills and ability to marshal the right experts to successfully represent you in court. However, most personal injury cases don’t go to trial. That means you also need an accident attorney who is highly skilled in the art of negotiation to get you the settlement you deserve. In the beginning you will have some contact with the insurance company. Oftentimes it’s not the most pleasant experience, since they generally want to offer you the lowest settlement possible. Once you have retained the services of our firm, that burden can be taken off your shoulders. In those instances when an injury case must be taken to trial, a law firm needs to have your case prepared for the battle of litigation. The decision of settling or going to trial rests solely on your shoulders, but the knowledge and experience of your personal injury attorney will be a valuable tool in this important process. If your case does proceed to trial, our firm has a long track record of successful jury verdicts throughout Oregon and Washington. Contact the Law Offices of NW Injury Law Center Today! There is no substitute for experience. The only thing more important than legal experience is a track record of success that shows NW Injury Law Center is the right choice to represent you in your personal injury case. Call us today with any questions or concerns you have about your case at 360-695-1624. Open, honest, upfront, helpful, no pie in the sky promises, good results. I would highly recommend your firm without reservation. It was such a pleasure working with you Don, and your staff! My experience with this firm was great. I would highly recommend them! I liked the personal touch of being able to speak with them anytime I needed anything. My experience with NW Injury Law Center was very good. They settled my case fast and the staff was helpful and friendly. I had a great experience and truly felt taken care of as a client! I appreciate all the hard work done on my case and was satisfied with how it was settled. Great job! Friendly, helpful, calls returned promptly. Would recommend Don if I ever run across anyone needing help! Always kept me in the loop, handled my case fast! Mr. Jacobs was not only very knowledgeable and kind, but was always honest with me - with both the good and the bad. 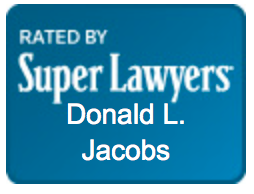 Mr. Jacobs was very knowledgeable and exceeded my expectations. He broke my stereotypical view of injury attorneys. Your firm was friendly, professional and knowledgable. I would recommend you to others. Great job - treated well by all office staff. Your office staff was very nice and polite - very professional. You returned my telephone calls promptly, and your staff was very helpful. I would recommend your firm to others. Don was very helpful and friendly. Everything was great. I would recommend you to others. The handling of our case was outstanding. I would recommend your firm to others. My case was handled very quickly and professionally. Thank you. Very helpful and cooperative. I put myself in your hands and you did it all. Thanks! From "Day One" my case was handled outstanding. Your staff has very good customer service. No improvement needed. We didn't have to worry about anything. Mr. Jacobs handled everything well. I felt that everyone at your law firm cared for my well being. You explained everything in layman's terms and were always concerned about my interest. You were always available and had time for my questions. I recommend you to others because of your honesty, integrity and promptness. Outstanding, friendly and professional. You can depend on them. Organized, confident, realistic, honest and great attorney/client communication. Very trustworthy and valued me as a client as opposed to just another case. I was very nervous about having to retain a lawyer, but after my first meeting with Mr. Jacobs I knew I made a good choice. I appreciate everything you've done to help me through my accident. I felt my case was handled very well. The staff was extremely friendly and Mr. Jacobs spoke to me, not at me. Awesome - thank you for everything! When I had questions, they were always met with kindness. I liked the personal attention and the fact that I felt like I was not just another case. You made it painless and took all the stress away. I had a very positive experience. The professionalism, expertise and thoroughness is second to none. I would highly recommend your services. I would not have been able to deal with the onslaught of calls by myself. It was burdensome and you all made it better.